Today I tore the arms off of a barbie doll (art supplies! 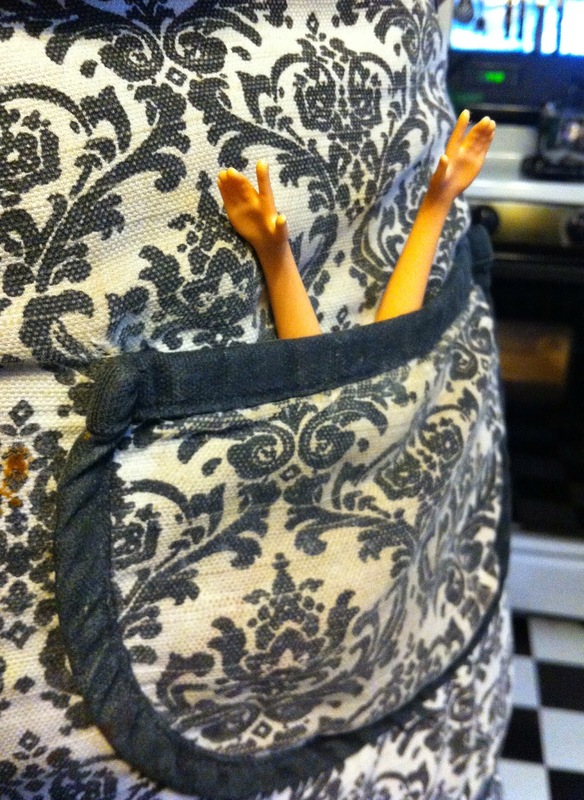 ), stuffed them in the pocket of my apron, and then threw the rest of "her" in the trash. These are strange days, indeed. Earlier Miso pushed Bashi into my kitchen in her baby doll's stroller and she said, "He's 14...and his name is Anselunta". Where does this all come from? This lackluster, yet cold, winter has brought some cabin fever. If I was a diligent person, I would write down every strange/funny/crazy thing my kids have said or done in the past month, and I could publish a book and sell it in the humor section of Half Price Books! Hmmmm...Is there anything quite like the sound of 400 pistachio shells hitting the kitchen floor? Gotta go!